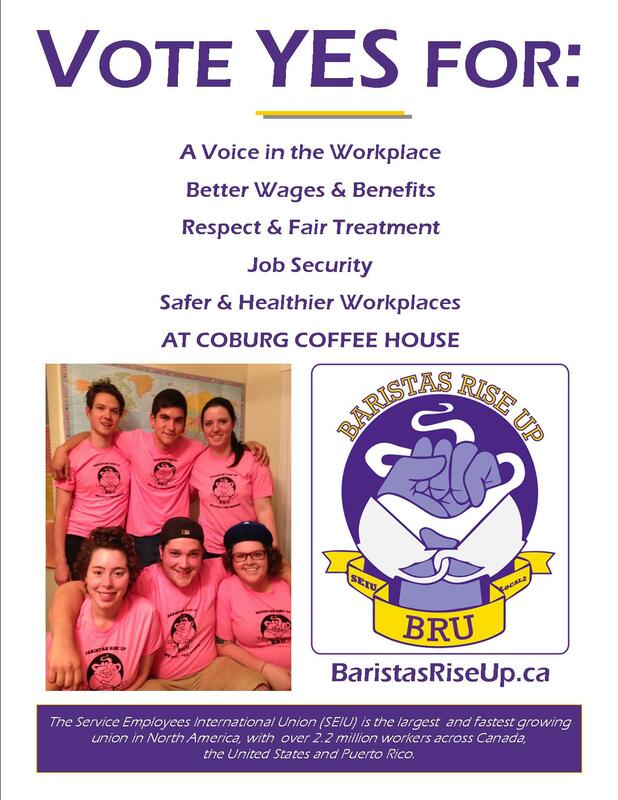 Solidarity Halifax proudly supports the workers at the Coburg Coffee House and their drive to form a union! Unions are one of the few tools workers can use to gain collective power – not only in our workplaces – but also in the fight back against regressive social policy, neoliberalism, and austerity. For young workers, ours is an especially precarious future. As Solidarity Halifax, we believe that to oppose capitalism is to demand something better for ourselves, our families, and our communities. We believe that a better world is made possible through the direct action of working people to build power in every aspect of our lives – to build power from below, and to build working class power.